Transmittal Forms 1096, W-3 and 1094-B Aren’t Necessary When E-Filing! But that’s not the only way e-filing saves you time and effort. Unlike with paper filing, you don’t have to calculate and submit the 1096 form with your 1099s, the W-3 with your W-2s or the 1094-B with your 1095-B forms. That’s right! As part of our e-file process, we automatically compile the data required on these transmittal forms and file them with the IRS or SSA. 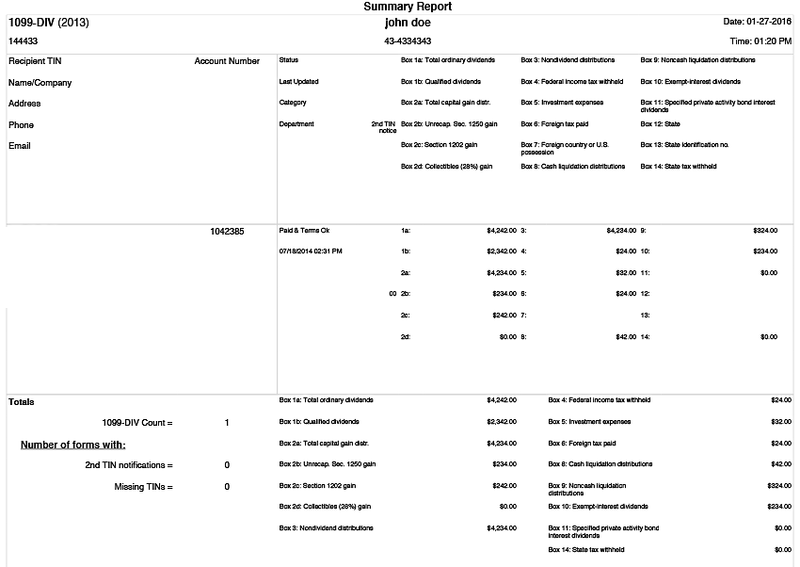 The Summary Report provides a detailed view of the values entered on the forms, by form type and payer. 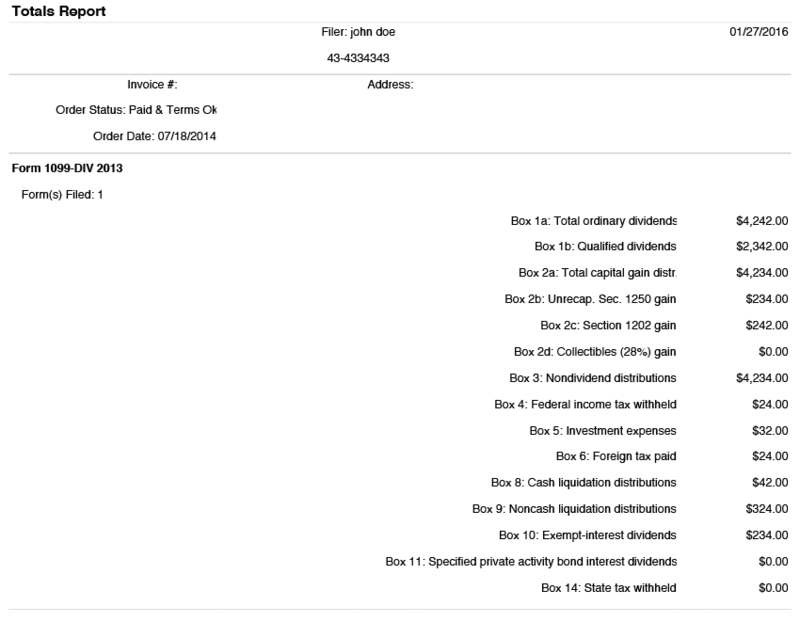 The Totals Report provides totals entered on the forms, by form type and payer. Simply select either type of report from ‘Order History,’ and follow the on-screen prompts to run the report either by invoice number or payer. Running a report by invoice number will show details for all form types and payers associated with an invoice number, while running a report by payer will show details for all form types for a selected payer (for all recipients or a single recipient). From there, you can print and send on the reports, if necessary. For additional guidance on this convenient, time-saving efile4biz.com feature, go here.